AECOsim is the Bentley’s first BIM package that incorporates all the disciplines associated with building design into a single electronic document to build up the design in real time. AECOsim is a perfect incorporated BIM solution that consists of architecture, engineering, construction, owner/operator simulations, building and design to capture the project all the way through its full life cycle, from concept to employ and maintenance. 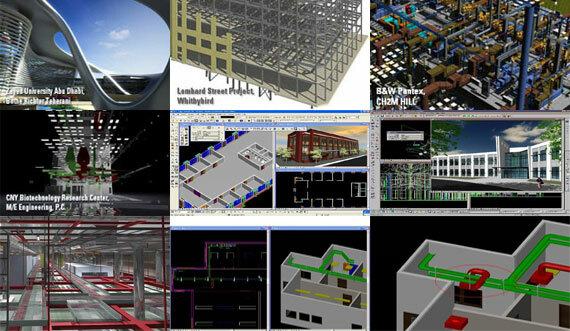 AECOsim is built with the AECOsim Building Designer, a 3D CAD package that is useful for multi-disciplinary design, incorporating design, running simulations and locating design conflicts prior to construction of the building physically. AECOsim Building Designer also comes with realistic rendering capacity which offers renderings of the completed project. AECOsim also contains the hypermodeling features that can be used to put in markers into the design and the viewer will be able to find out the section, drawing or sheet for that specific part of the design. The can get a quick cross-reference as well as view details devoid of losing the position in the key model. There exists a AECOsim Energy Simulator that facilitates the mechanical and electrical engineers to reproduce energy requirements, environmental conditions and their requirements for designing these systems to fulfill the requirements of the building. AECOsim is well suited with all of Bentley’s other software solutions, with in-built solar shading features, the ability to export to gbXML for energy analysis, and incorporation with packages from other vendors.